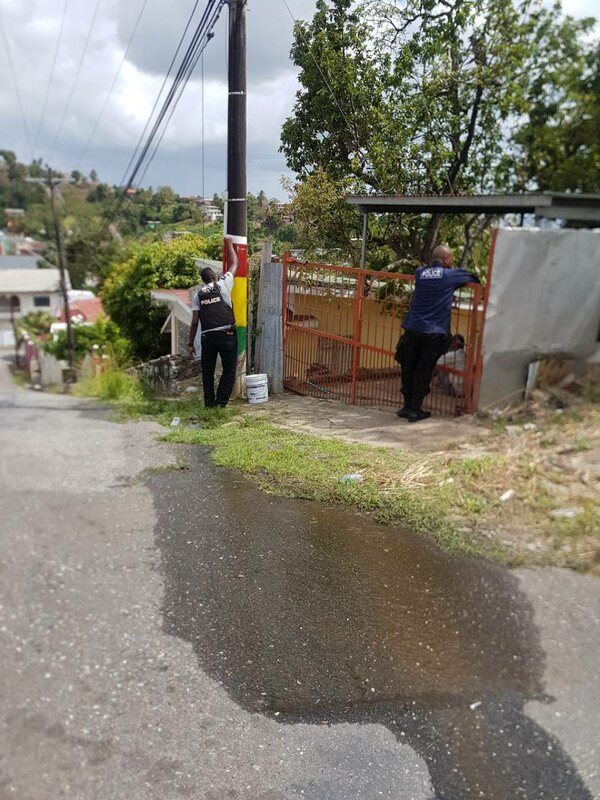 A police officer attached to the Port of Spain Division re-paints a lamp post defaced by Rasta City gang colours in Gonzales yesterday while another interacts with a resident. POLICE officers attached to the Port of Spain Division yesterday armed themselves with white paint and brushes and re-painted lamp post in Gonzales which were said to be painted to reflect a gang affiliation. Social media users have commended and criticised the police for their efforts. Some were in agreement for the stance while others scoffed saying that the officers will have to stand by every lamp post to ensure that they will not be re-painted by the gangsters. Reply to "‘Police still in control’"